Structured: Debutante shoulder dress, $140 at Topshop. Ultra-flattering color: Ralph Lauren one-shoulder matte jersey dress, $180 at Nordstrom. Off-the shoulder: Diane Von Furstenberg, $200.25 on sale from $445 at the Outnet. Peplum: Patterson J. Kincaid, $188 at Cusp. 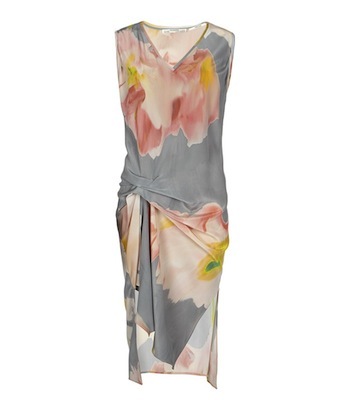 Draped: Blossom V dress, $288 at AllSaints. Strapless: Oasis lace bodice bandeau dress, $127.28 at Asos. 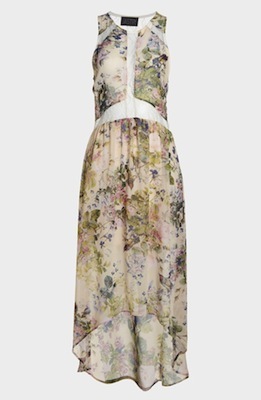 Back detail: Sundress in crepe with tie back, $54.30 at Asos. 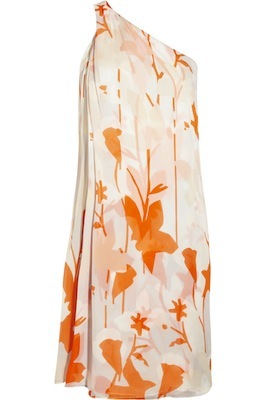 Printed: Halston Heritage pleated printed jersey dress, $160 on sale from $325 at the Outnet. Illusion neckline: Nanette Lepore Lightshow sheer-top dress, $220 on sale from $368 at Cusp. 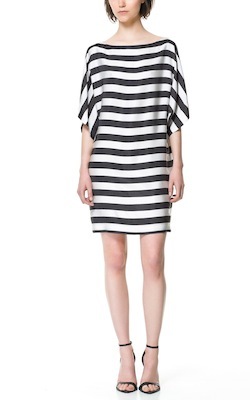 Nautical: Striped dress, $79.90 at Zara. Maxi: Aqua strapless gown, $245 at Bloomingdale’s. White: Talulah contrast-trim sleeveless dress, $253 at Cusp. 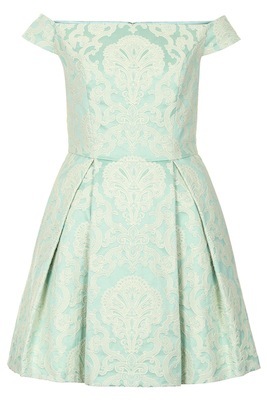 Floral: ASTR lace illusion high/low dress, $78 at Nordstrom. Black-tie: Helmut Lang maxi dress with cowl neck, $210 at Bloomingdale’s. Sequined: French Connection opal sequin dress, $178 at Bloomingdale’s. Edgy: Karl Lagerfeld Ducilla printed stretch jersey and faux leather minidress, $329 at Net-a-Porter. Colorful: BCBGeneration color-block dress, $108 at Piperlime. Short: Eight Sixty Electric minidress, $98 at Piperlime. 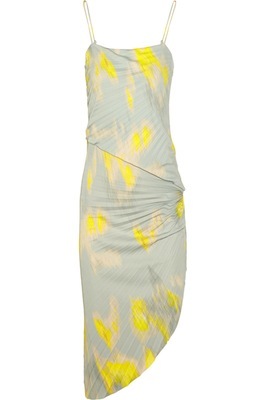 Strappy: Milly mosaic-print blouson dress, $237 on sale from $395 at Cusp. 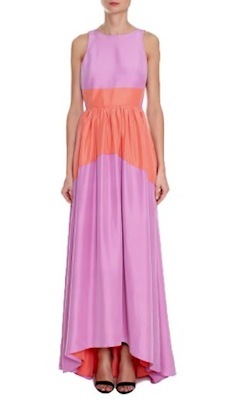 Splurge-worthy: Silk color-block long dress, $675 at Tibi.